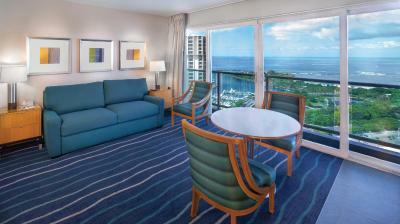 Lock in a great price for Ala Moana Hotel - rated 8.1 by recent guests. balcony door a bit hard to open but great view city side. 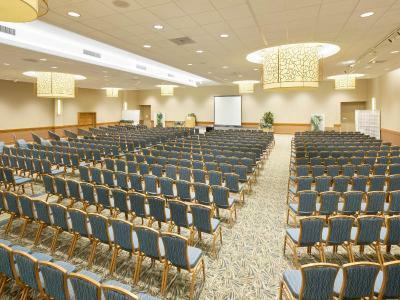 Great location at the Ala Moana Center. 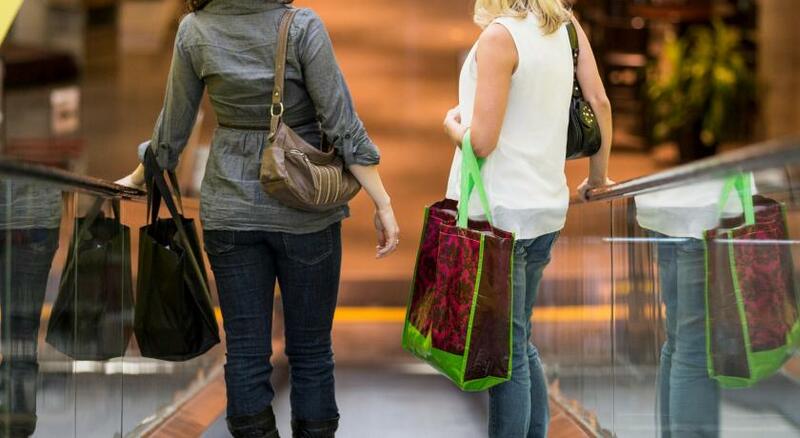 Perfect for shopping!! We booked a standard-room. 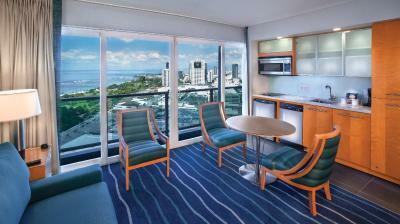 These kind of rooms are located at the old part of the hotel with a view to the city or Ala Moana parking deck. The furniture is a little bit oldscool, but functionary. The bathroom was clean and absolut ok. Breakfast was very good and in our fare included. We really enjoyd our ocean front room on 29th floor, the view was amazing and the location is perfect. We will defenitely come back!! The customer service. The staff at Ala Moana are well versed in looking after people. The location is excellent. There is a pathway from the hotel to Ala Moana Shopping Center. The connection to the Ala Moana Center didn't use to be so attractive but now it is because of the food court that has been recently opened right next to Macy's. I also liked the staff. They are friendly, helpful, and so accessible to ask for assistance. I also liked the room. It is clean and comfortable. Could not fault the location. Right next to the Ala Moana Centre which was so handy! If you were lucky enough to get an ocean facing room - the sunsets were beautiful. 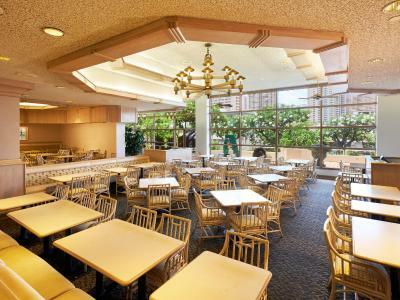 One of our top picks in Honolulu.Located between the Hawaii Convention Center and Ala Moana Shopping Center, Ala Moana Hotel features 2 restaurants on site. Free WiFi is included in all guest rooms. 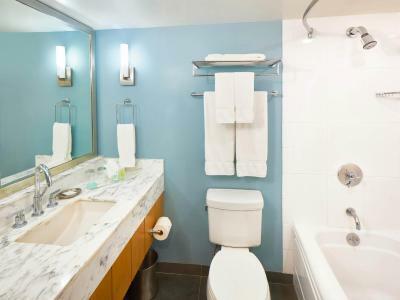 Offering ocean and city skyline views, each guest room offers a flat-screen TV with cable channels, a kitchenette with a microwave, a refrigerator, and a dishwasher. 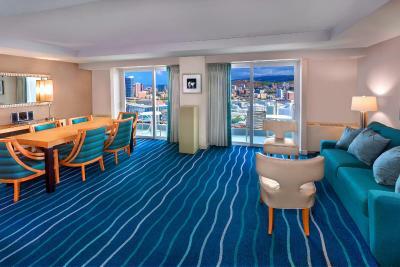 Select suites offer dining areas. 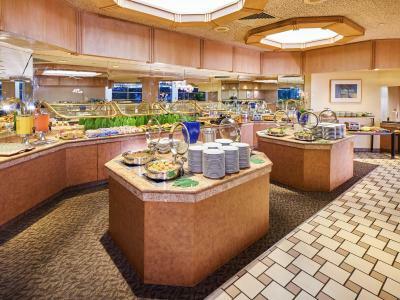 The Plantation Café offers a daily breakfast buffet at this 100% smoke-free hotel. 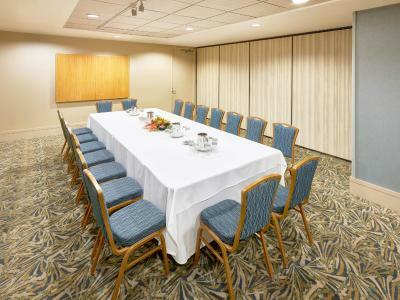 Waikiki Beach and Neal S. Blaisdell Center are within 5 minutes’ drive from Honolulu Ala Moana Hotel. Ala Moana Beach Park is 10 minutes’ walk away. Honolulu International Airport is 6.8 miles away. Downtown Honolulu is a great choice for travellers interested in food, shopping and warm weather. Ala Moana Hotel has been welcoming Booking.com guests since 21 May 2013. 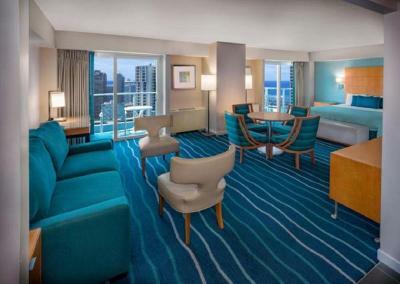 When would you like to stay at Ala Moana Hotel? Bedding type includes 1 queen bed. Bed selection based on availability at check-in. Free Wi-Fi, a flat-screen cable TV, a small fridge and coffee-making facilities are included in this room. Please note: This room is located on floors 5-13. Maximum occupancy is 2 (see Hotel Policies). Extra cribs are not available in Kona Tower. Public parking is possible on site (reservation is not possible) and costs USD 25 per hour. Bedding types include 2 double beds or 1 king bed and 1 sofa bed. Bed selection is based on availability at check-in. Free Wi-Fi, a flat-screen cable TV, a small fridge and coffee-making facilities are included in this room. Please note: This room is located on floors 6-35. Bedding types include 2 double beds or 1 king bed and 1 sofa bed . Bed selection is based on availability at check-in. 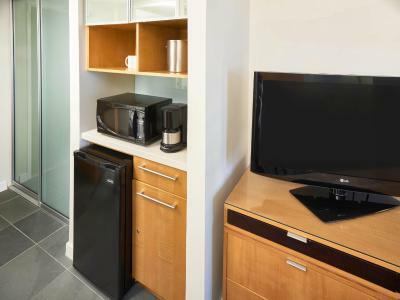 Free Wi-Fi, a flat-screen cable TV, a small fridge and coffee-making facilities are included in this room. Please note: This room is located on floors 6-24. Bedding types include 2 double beds or 1 king bed and 1 sofa bed . Bed selection based on availability at check-in. Free Wi-Fi, a flat-screen cable TV, a small fridge and coffee-making facilities are included in this room. Please note: This room is located on floors 6-35. Featuring a balcony with mountain views, this suite offers free WiFi, a flat-screen TV with cable channels, a kitchenette with a dishwasher, a refrigerator, a microwave, and a coffee machine. 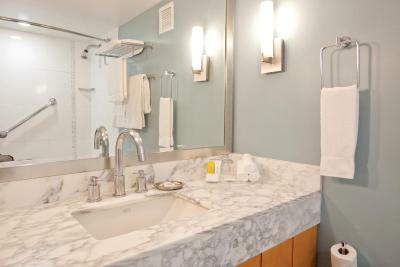 The en suite bathroom includes a bathtub/shower combination. Featuring a balcony with ocean views, this suite offers free WiFi, a flat-screen TV with cable channels, a kitchenette with a dishwasher, a refrigerator, a microwave, and a coffee machine. 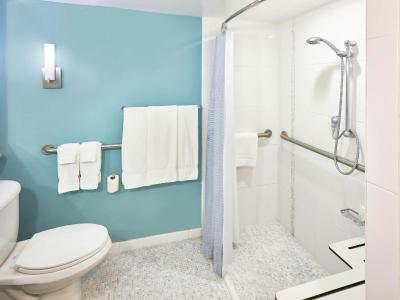 The en suite bathroom includes a bathtub/shower combination. 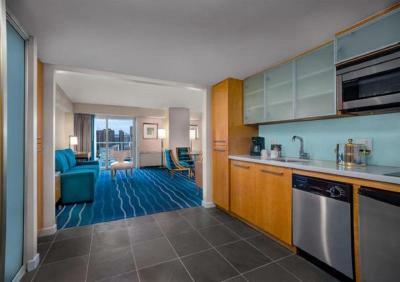 Featuring a balcony, this studio suite offers free WiFi, a flat-screen TV with cable channels, a kitchenette with a dishwasher, a refrigerator, a microwave, and a coffee machine. The en suite bathroom includes a bathtub/shower combination. Hotel surroundings – This neighbourhood is a great choice for travellers interested in food, shopping and warm weather – Check location Great location - show map Guests loved walking around the neighbourhood! House rules Ala Moana Hotel takes special requests - add in the next step! Ala Moana Hotel accepts these cards and reserves the right to temporarily hold an amount prior to arrival. There is no resort fee at this hotel. 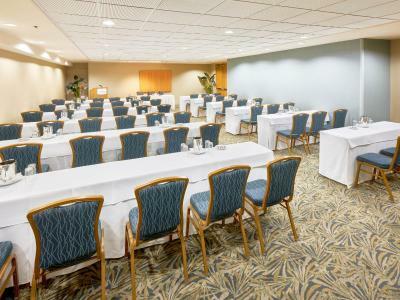 This is the official hotel operator of this full service Honolulu hotel. Please contact the property for details. 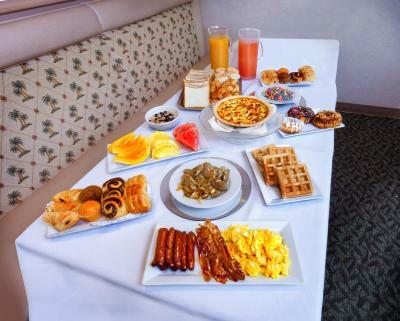 Only the “Breakfast Included” rate includes a daily breakfast for 1 adult in the Plantation Café. Additional guests receive 20% off coupon. I like the location and property. 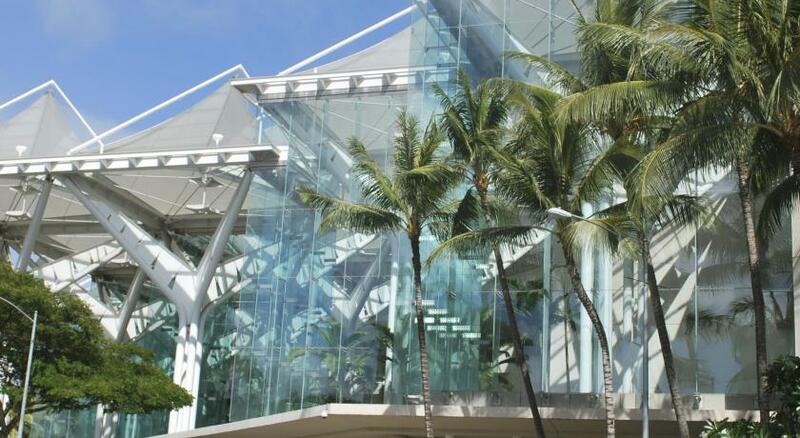 Next the Ala Moana Shopping Center. I felt safe in this hotel and staff were nice and helpful. Didn’t get any maid service but the couple of maids that I came across with were really nice and courteous. The Plantation Café breakfast is great, relaxing, good choices. felt cold at night and didnt go higher than 26 degree air conditioner. there was mold in the room. Not enough pillows for sleeping at high angle. Front of toilet too close to bathroom door. Excellent location. Close to many places of interest. 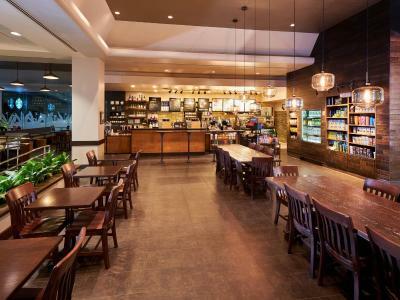 Great breakfast at plantation cafe and Starbucks on premises. Very friendly and helpful staff. Terrific valet service. 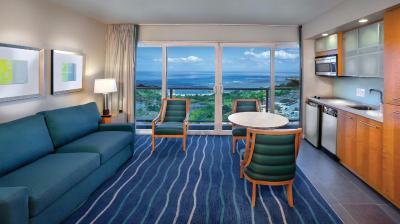 Excellent and spacious room in Waikiki Tower with great view from balcony. You can hear clearly through the next room from our room. I like the area close to the shopping center and other stores. Nightlife was close by. Found out at the end it was a miniature grocery store in the building. Local transportation was near by and the beach is across the street from the hotel. Standardrooms could be more comfortly.